Robusta and Arabica beans where Robusta is dominating. This results of the dark-roasting is a tough, strong and harsh taste. 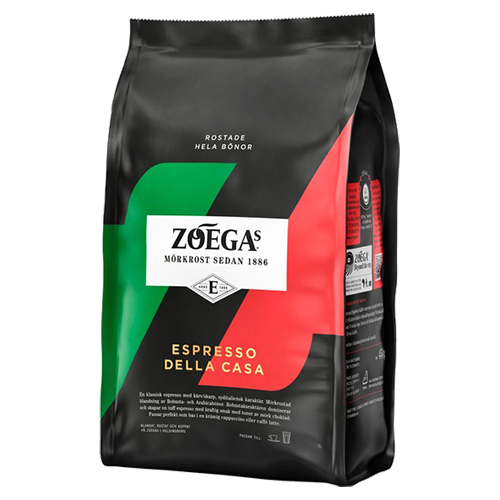 Zoégas Espresso Della Casa is a traditional southern Italian espresso. the base of a Caffè Latte.